Chimeric antigen receptor (CAR) T cells are a promising new alternative for the treatment of B cell malignancies and other cancer types to eliminate tumor cells in diseased patients1,2. This hope is based upon results from studies where CAR T cell treatments have found to be effective in relapsed lymphoblastic leukemia, multiple myeloma and lymphoma. The success of these studies have generated a significant interest in CAR T cells. However, manual CAR T cell manufacturing is complex and labor intensive and extensive training of personnel is required to avoid operator variations3. Conventional protocols comprise many open handling steps and are difficult to upscale for increasing numbers of patients. Therefore, automation plays an increasingly important role and provides process standardization for consistent results. 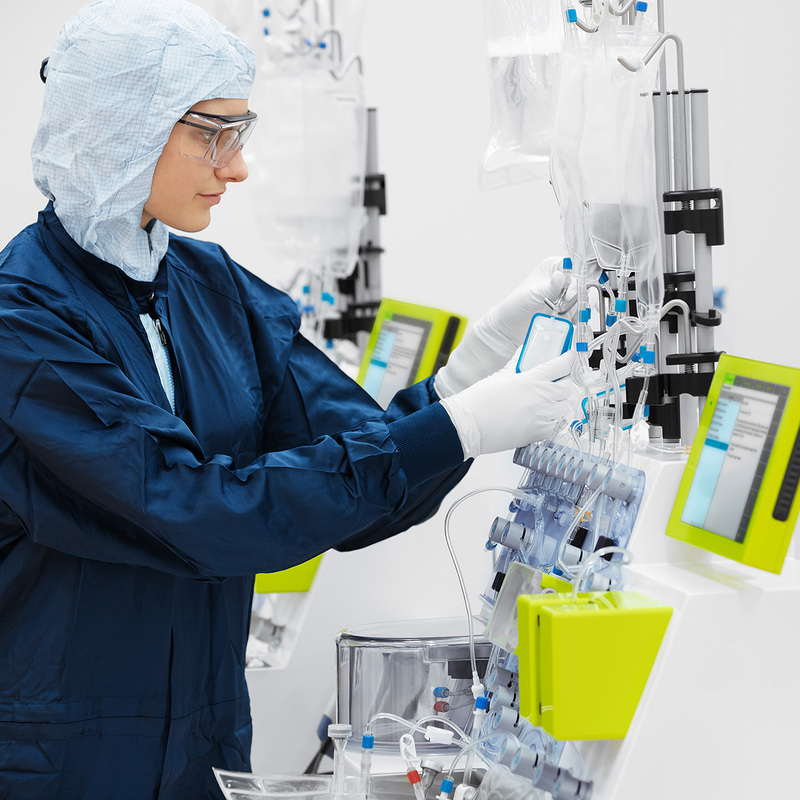 The CliniMACS Prodigy® simplifies the manufacturing processes and enables the automated production of CAR T cells4,5. The instrument is able to perform cell enrichment, activation, genetic manipulation, and expansion with minimal involvement from the user. All reagents for cell enrichment, activation, cytokines and media are available in MACS GMP quality, suitable for a clinical-grade production process. All steps take place in a closed system, providing a sterile solution for the challenges associated with clinical-grade CAR T cell production. 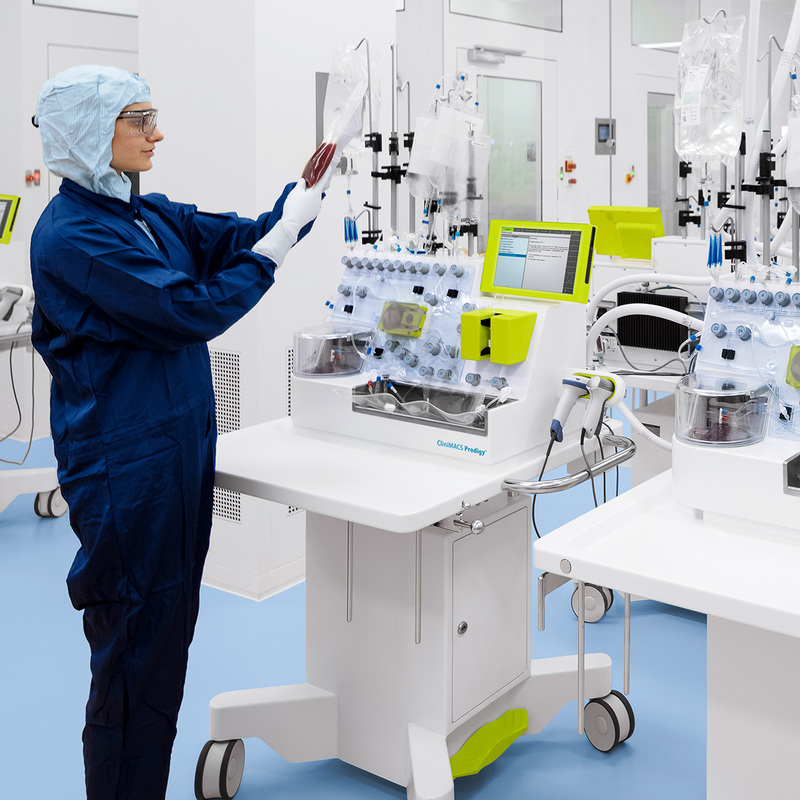 With our CliniMACS Prodigy and MACS® GMP reagents that have been designed for clinical applications, you are ready to manufacture adoptive cell therapy products. Watch the video on the CliniMACS Prodigy T Cell Transduction Process and find out how to generate gene-modified T cells in a simple and fully automated fashion.